Provost Maggitti and I are extremely pleased to announce the appointment of Mark C. Alexander, JD, as the Arthur J. Kania Dean of the Villanova University Charles Widger School of Law, effective July 1. This key appointment is the result of a national search with a committee of faculty, students, administrators and alumni. legal industry, believes in the values of Villanovaâ€™s Augustinian Catholic tradition and has the breadth of experience to sustain and build upon the Law Schoolâ€™s forward momentum. Dean Alexander quickly distinguished himself as an innovative leader who possesses the character and creativity to further the Law Schoolâ€™s rise to national prominence. As Dean, he will serve as chief administrator and chairperson of the faculty, and build upon the Schoolâ€™s â€œWhere Law Meets Businessâ€� philosophy that pairs professional development with real-world learning to prepare graduates for career success. Dean Alexander also is a steadfast supporter of the teacher-scholar model and the importance of a student-centric approach to education. His vision for the Law School focuses on building a thriving, collaborative and diverse academic community that holds itself to the highest ethical standards and reflects an unwavering commitment to service and the public interest. 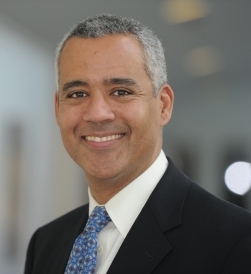 Dean Alexander currently is Associate Dean for Academics and Professor at Seton Hall Universityâ€™s School of Law. As Associate Dean, he oversees the curriculumâ€™s academic components, works closely with the faculty and administration on moving the schoolâ€™s strategic plan forward, and manages the career, enrollment and student services offices. A member of Seton Hallâ€™s Law School faculty for two decades, he has an exceptionally strong record of teaching and scholarship. Honored as Professor of the Year on numerous occasions, his areas of teaching expertise include constitutional law, criminal procedure, election law, criminal law and the First Amendment. His research interests focus on the constitutional dimensions of election law and campaign reform. Dean Alexander has authored several books on the First Amendment and constitutional law and is published frequently in scholarly journals. He is regularly interviewed for both national print and broadcast media outlets, and is a sought-after speaker and panelist for national and international law symposiums and academic forums. He has also served as an adviser and issues director for several high-profile political campaigns. He earned a Juris Doctor from Yale University Law School and a Bachelor of Arts in Architecture from Yale University. I would like to take this opportunity to thank the committee and the members of the Law School community who were involved in the search. Our aspirations for the new Dean were high, and the search committee did an outstanding job in attracting and engaging a truly exceptional group of candidates. Please join me in congratulating Mark Alexander, JD, on becoming the next Dean of the Charles Widger School of Law. Under his visionary leadership, I am confident that the Law School will continue to move forward at an impressive pace. I invite you to join me and Provost Maggitti for a reception on Monday, June 6, at 3 p.m. in the Law School Atrium to welcome Mark to Villanova Law and our University community.